Automatic Filling and Sealing Machine For Aluminum Tube_Wuxi Dobest Hardware Co.,Ltd. It can be used in subpackaging and hitting of viscose material filled in tubes. 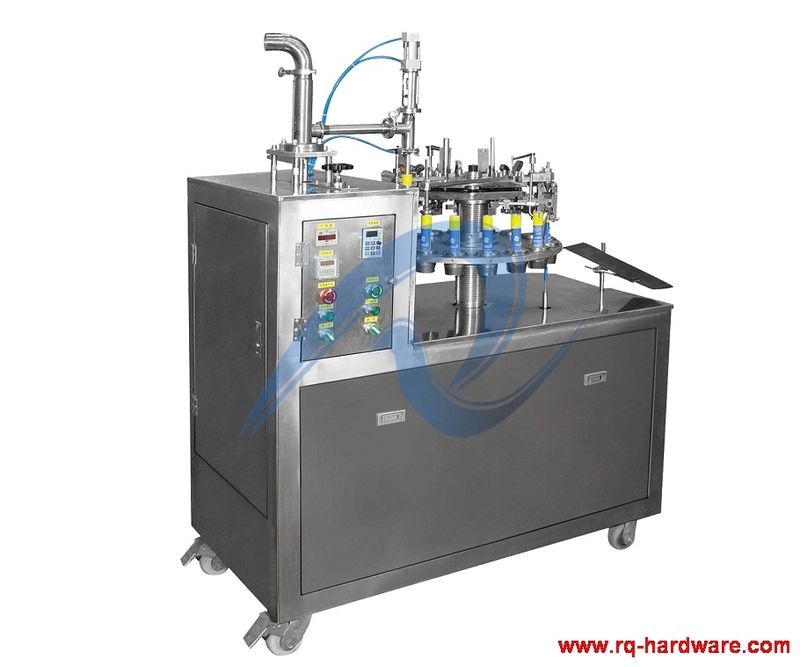 Controlled by quantitative cylinder, it can filling and sealing automatically with advantages in precise measurement, high degree in automation, reducing staff and lightening labor intensity；through several design and improvement, merits such as user-friendly,easy operation, and high stability have been achieved. It can be used with discharging machine(＞20tons) of hydraulic pressure type. This kind of device is mainly used in cementing compound industry, such as silicone sealant, glass cement, ACRYLIC ACID glue, polysulfide sealant, polyurethone sealant and so on. 3．Packing container：soft tube of ф16-ф40mm，length: 50--200mm；note: machine can be produced according to client’s tube.